Bamboo floors have been gaining in popularity over the past several years, and it’s not just because they’re a beautiful alternative to classic hardwoods like oak or maple. 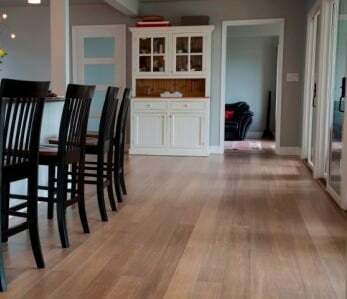 Once you learn these 15 astounding truths about bamboo floors, we’ll bet you’ll be considering installing them in your home too! Tensile strength refers to how difficult it is to pull a material apart. That fact alone is amazing, but it also resists being smashed better than concrete! Bamboo is a grass — not a tree. Trees, as you know, take a long time to go from sapling to full-grown (many decades, in fact). Not so with bamboo. It’s the fastest-growing plant on Earth. (You didn’t know?) Cut down a bamboo plant and within 5-7 years, it’ll be back to the height it was when you cut it down. Sure, a natural bamboo floor is gorgeous, but if you’re looking for more of a dark, rich vibe, you should know that bamboo can be , just like any other hardwood floor. It can even be wire brushed or hand-scraped, just like the trendiest hardwood floors! 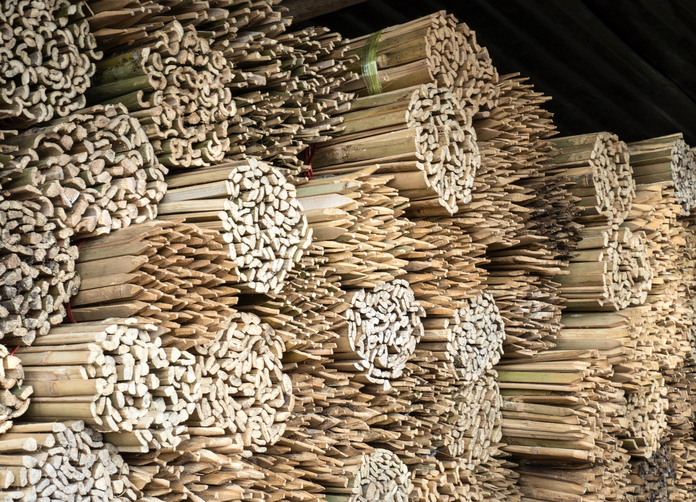 There’s also a bamboo manufacturing process , which turns natural (light) bamboo to a . 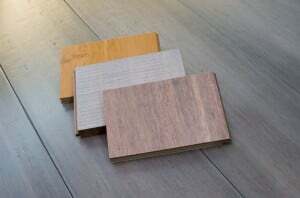 When natural bamboo is kiln-baked, the sugars inside “carbonize” or “caramelize”, giving this floor deep, rich color. The best part? The color runs throughout the plank, so that when refinished it retains it’s beautiful brown hue! And speaking of carbonized bamboo, did you know that a carbonized bamboo filament is what finally led Thomas Edison to be able to introduce the first electric light bulb to the world?! can even be laid below grade (in a finished basement, for example) and on top of concrete as well as on more traditional sub-floors like plywood. Due to their incredible hardness and superior strength, they’re less likely to dent and less susceptible to the abuse meted out by heaviest of dogs! Bamboo floors can be installed in the — heck, maybe even in outer space if we end up colonizing some Earth-like planet sometime down the road! Priced from just $3 to $5 per square foot, a bamboo floor is not just a wise and lovely choice for your home, it’s kind to your wallet as well! Compare that with the average per square foot cost of a typical hardwood floor, which according to Home Advisors, runs $5 to $10 per square foot! Added bonus: most bamboo floors come in long lengths and WIDE PLANKS! Seriously! 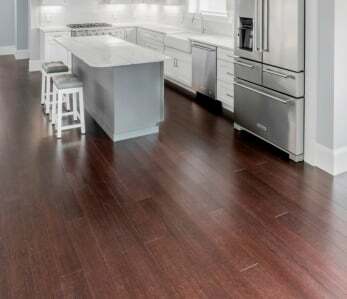 Regular dry-mopping, sweeping or vacuuming (with a hardwood floor attachment), and an occasional cleaning with a product that’s made for hardwood floors are all it takes to keep your bamboo floor looking nice for many years. 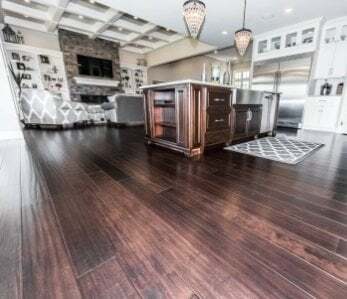 Just as you can prolong the life of your hardwood flooring several times, you can also refinish your bamboo floor multiple times to extend its life and keep it looking great, year after year. Here’s another tidbit to consider. Because they’re so hard, they resist denting and scratching better than most hardwood floors, meaning that if they ever do need refinishing, it won’t be nearly as often as typical hardwood flooring would! Once again, hardwood floors don’t have the monopoly on variety. You can choose classic tongue-in-groove bamboo flooring that’s nailed or glued down, or install a “floating” click-lock bamboo floor. In fact, if you’re the handy type, you’ll find installing a bamboo floor a fairly straightforward task. Many hardwood floors, like oak for example, are beloved for their beautiful grain patterns. Not to be outdone, bamboo has its own version of a that comes from the strand woven manufacturing process. It’s got its own unique, earthy beauty and we think it rivals some of the prettiest hardwood grains for beauty and interest. Apparently, the engineers at Tesla agree since they quality-check all of their Model S cars on elevated bamboo flooring. 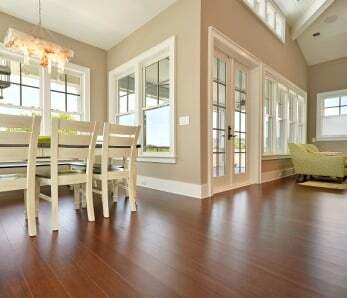 Why bamboo flooring? The material was chosen “because it looks cool“. What does “strand-woven” actually mean? We thought you’d never ask! A strand woven bamboo floor is made by using long strips of bamboo, which are pulled apart into strands, woven together and then compressed under extreme pressure and heat. The result (as mentioned in fact #1 above) is a floor that’s significantly harder than any hardwood floor you can think of. 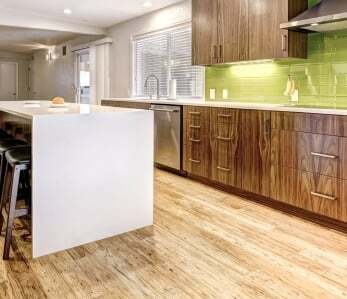 Because it’s so hard, durable, and easy-care, bamboo flooring is the ideal choice for high-traffic areas like kitchens, hallways, foyers and any other frequently traveled area in your home. You can’t say that about your typical hardwood floor. harvested from well-managed forests, Lacey Act Certified, and Floorscore certified. FSC-certified products available by demand. designed, manufactured and sold directly by us — without a middleman. That translates into the lowest price around for a super high-quality floor! We’re also rated A+ by the so you can be confident that when you buy from us, you’re buying from a reputable company with the credentials to back up that claim. Bamboo flooring is what we do — and we think we do it better than anyone else out there! Check out our website to learn more about the wonders of bamboo flooring and how it can benefit your home, your wallet and your entire family!